Move over Osterizer, there’s a new kid in town!! Okay, so I’m home today … was feeling horrible this morning due to a severe allergy attack that began late last week, so I took the day from work. Finally got some much-needed Sudafed earlier this morning (you know, the behind the counter, pseudoephedrine containing, we need your name, ID and a blood sample before we’ll let you buy this kind) and have begun to feel like myself again. If you read the comments around here, you may see “Dad” commenting now and again. That’s Wei’s dad :)!! He and Wei’s mom check in on Wei and me here regularly :). I was going to text a pic and thank them, but my sister suggested a post!! And, I thought, “That’s even better! !” Love you both and I am so grateful and blessed to be able to call you family!! So, yeah, that’s it. Oh, and here are pics of the un-boxing and me putting it through its paces for the first time!! Love it! Yeah, I know, doesn’t look that good, but it was! Tried chia seeds for the first time! 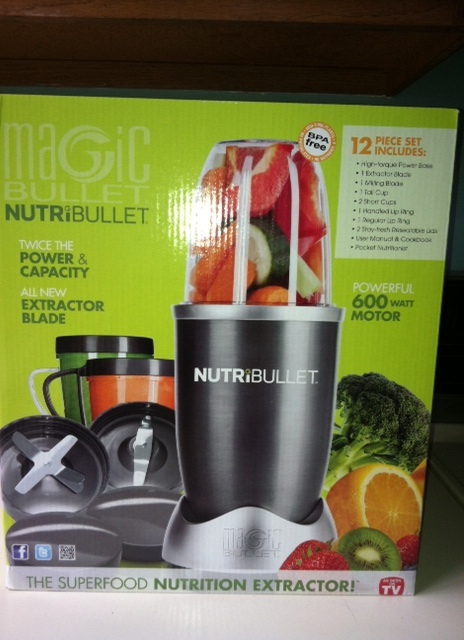 Can’t wait to put this puppy into action with some more green smoothie recipes!! Happy Birthday Shelli!!! This is such an awesome gift. It is so wonderful that Wei’s Dad sent you a birthday gift that, if used regularly, will likely extend your life and certainly better your health. Simply wonderful!! Oh, and you know that saying about not operating machinery when you are sleepy?? It is true. I was so sleepy this am when making my smoothie, that I didn’t realize that I had placed a portion of the cap of my blended IN the machine yesterday after washing it. I placed all my smoothie ingredients in, placed the main part of the cap on and hit ‘on’. The thing was making all these crazy noises. I thought to myself, “Dang, those frozen strawberries are real hard today.” Lol! Anyway, I had to throw it out, as I don’t think little pieces of plastic mixed in with kale are nutritious!! So, be careful with Sudafed on board! Feel better soon and enjoy your Nutribullet! Thank you Zenith!! And doh!!! That didn’t damage your machine?!?! LOL @ the strawberries being really hard that day! LOL!! And, I was safe with the Sudafed. I took it around 11 am, it was close to 2 when I made the smoothie and the Sudafed is a non-drowsy formula. LOL!! But, I’ll remember that for the future!! “Do not operate heavy machinery while drowsy!” LOL!! Thank you!! This isn’t actually a juicer. They call it an “extractor,” but it’s just a high performance blender:). I actually have a juicer and I had the greatest energy juicing in the morning. BUT, it was just soooooo much work!! The prep, the process, the clean-up. And, as I’ve seen other say, it seems like a waste of perfectly good pulp. So, I definitely see myself sticking with smoothies as they are so much easier and economical in every way!! happy birthday 🙂 Let me know how you like it. i was looking at buying a Vitamix (i think that’s what it’s called) because i want to start drinking fabulous green smoothies (uck). The Vitamix also makes soup and ice cream so i still want it but if the bullet is super cool i’ll get that too! Yup, that’s what it’s called. The Vitamix is a more comprehensive machine for sure! But, it IS so expensive. I’ll keep you posted on this. I used frozen veggies and fruits and at first thought it might not be a good idea because the smoothie was soooo thick at first. But, after hitting it a few more times, it got to a good consistency. But, I don’t think I should use as much frozen veggies as I did as they are more compact than fresh. Oh, and check out the comments on my IG post on this. People LOVE the Nutribullet man!! This is probably why I haven’t been sick or had a cold. I juice at least 2x a day. Fruits, veggies, nuts, seeds. I even add odwalla juice or pomegranate as well. I feel energized, not to mention all the great things it can do for hair, skin, and nails. 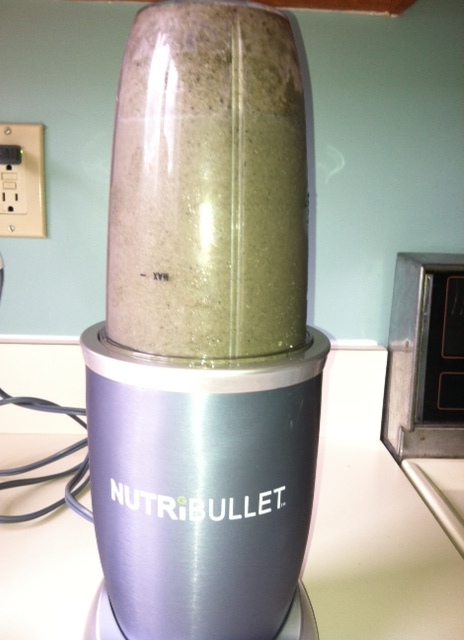 I love my Nutribullet!!!! Awesome Jenohn!! I can’t wait to make flax seed powder out of flaxseeds!!! Shoot, might do that this morning to put on my oatmeal!! Cool!!! Congrats on getting a Nutribullet blender. I commented on your other article about green smoothies and recommended the sweet potato smoothie. You’re going to LOVE the Nutribullet. It’s so easy to use and convenient. Have fun. Jas, I baked my sweet potatoes yesterday!!! So, I’m going to try your recipe after work today!! Well … I have to make sure I have the other ingredients!! I don’t remember what they are! LOL!! Thank you! 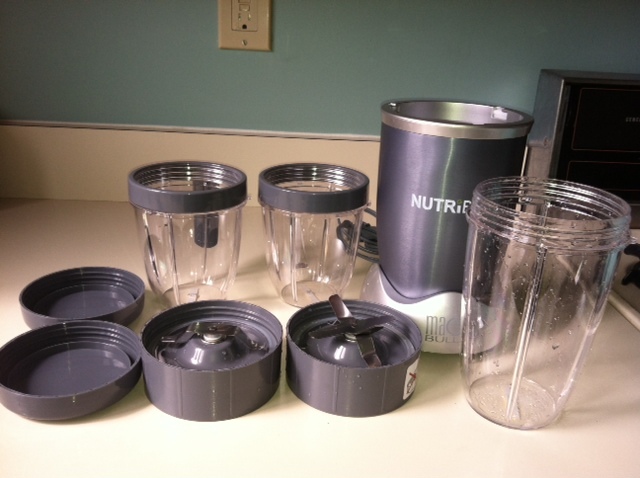 JitC – I was looking at both the Vitamix and Nutribullet!! I watched a video comparing the performance and the Nutribullet really held its own for so much cheaper. But, the Vitamix can do so much more and has a much longer warranty. Regardless, I was about to get the Nutribullet as the less costly investment to make certain I would actually use it regularly as the Vitamix is several hundred dollars. Well, the decision was made super easy when my in-laws sent me the bullet for my birthday!! I was so excited!!! Super, are you a vegan? or just want to eat as healthy as possible? How fabulous! I bought the last one at Target last Thursday after work (actually, it was the second Target, since the other one already had sold out of this bad boy). I love it! It’s great to extract the nutrients. I rarely use my juicer, but this is simple, portable, and easy to clean. I have made smoothies every day this week and even had my 2-year old enjoying a chia and flax filled green smoothie with me. Score! Happy Birthday Shelli – that was really great of them to get this for you! I have never heard of the Nutribullet but I feel the same way about throwing out all that good pulp. My daughters bought me the Jack Lalanne for my birthday a few years ago. It sits on my countertop still – I don’t have the heart to put it away. That juicer was really challenging to clean, even in the dishwasher. Happy Birthday, my mom has the bullet and loves it. Happy Birthday Shelli! I have been eyeing the Vitamix myself but it is ridiculously expensive for my tastes (or pockets!!) 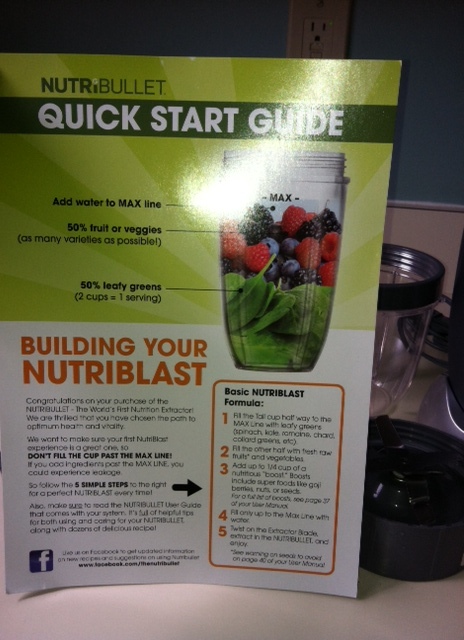 I think I will get the Nutribullet now too since everyone is saying it’s so good! I have been using my blender with the cup attachment for my green smoothies and other smoothies as well but I am scared I am going to break it because they can get really thick! I use my juicer but it really is a hassle sometimes to clean especially if I can do seeds and nuts in a Nutribullet! POW! Thanks again for the post and I am glad you are feeling better! Enjoy your birthday lady! Your Pops ROCKS!